How Do I Organize All My New House Keys? 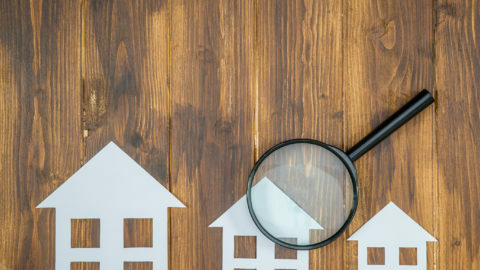 When you arrive at your new home sweet home chances are that you will be welcomed with a whole new slew of keys to sort through and figure out. A new set of keys for the front door’s deadbolt, a few copies of keys for the garage, more keys for the shed, and don’t forget about those keys for the screen doors. SO. MANY. KEYS!!!! 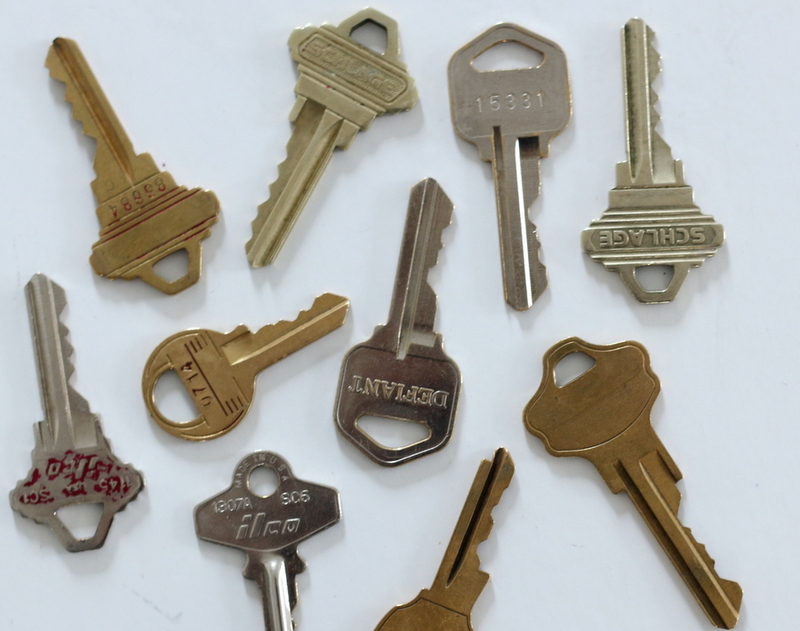 Here’s our cheap ingredient list for how to organize house keys. 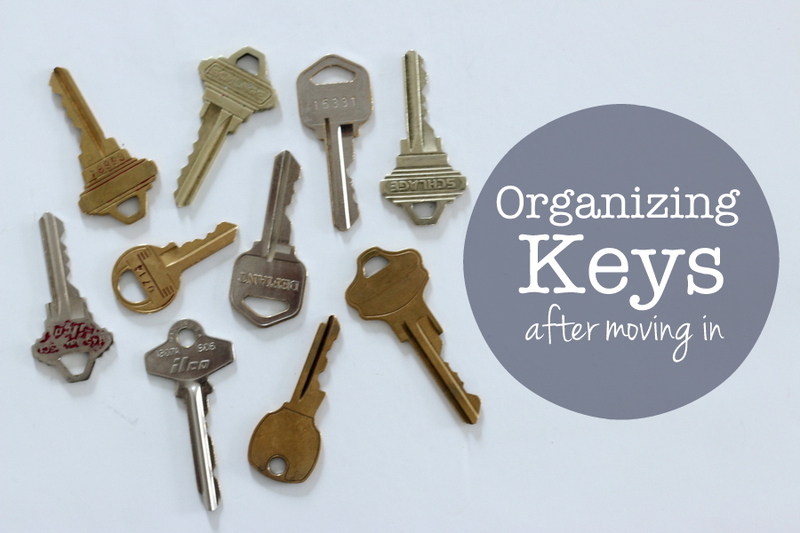 It’s important that you get this collection of keys organized right away so that you don’t lose track of what key belongs where. To organize this collection without investing a ton of time or money, we recommend you get your hands on some necessary supplies. 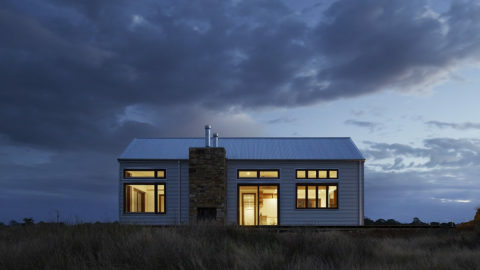 Once you pick up these affordable items, we promise that tackling this project will take LESS than 10 minutes. 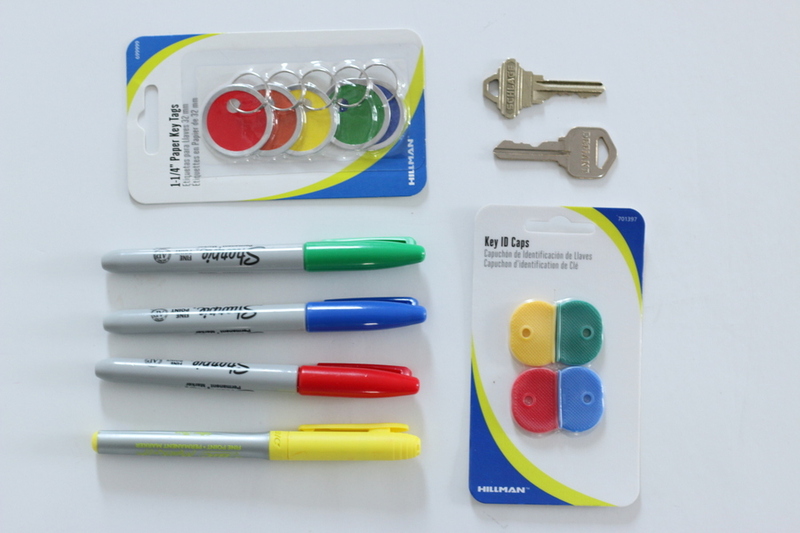 Once you have all the supplies, simply organize your keys according to what lock/door they open. House keys in one pile, screen door keys in another pile, and so on and so forth until all of your keys are accounted for. Then take these sorted piles and assign a specific color to each type of key, noting this information on a sheet of paper. For example, all the garage keys are yellow, all the front door keys are blue, all the shed keys are red… you get the idea. 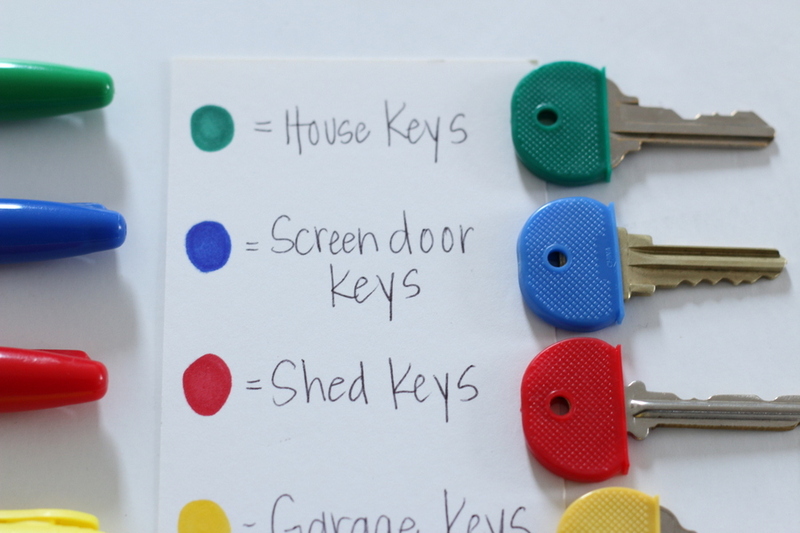 Then use that color-coded “key” to label your keys accordingly. 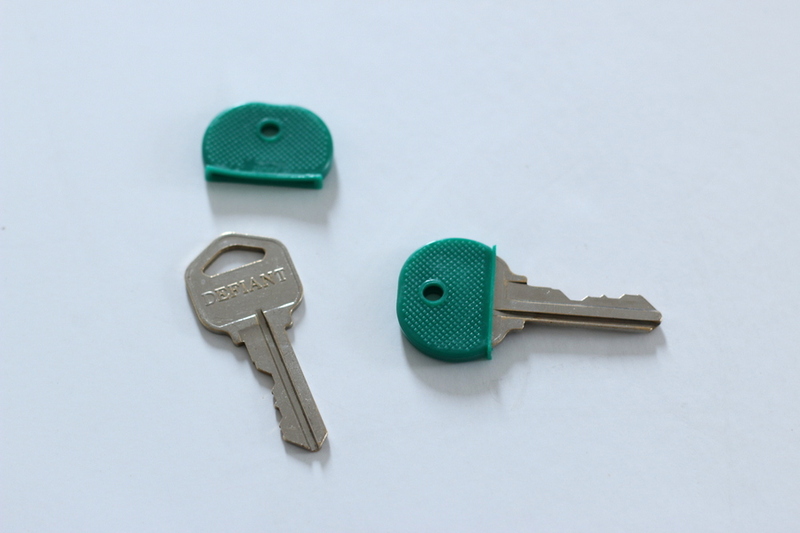 Whatever color you noted that key will be, will also be the cap color you will attach onto the top of the key. 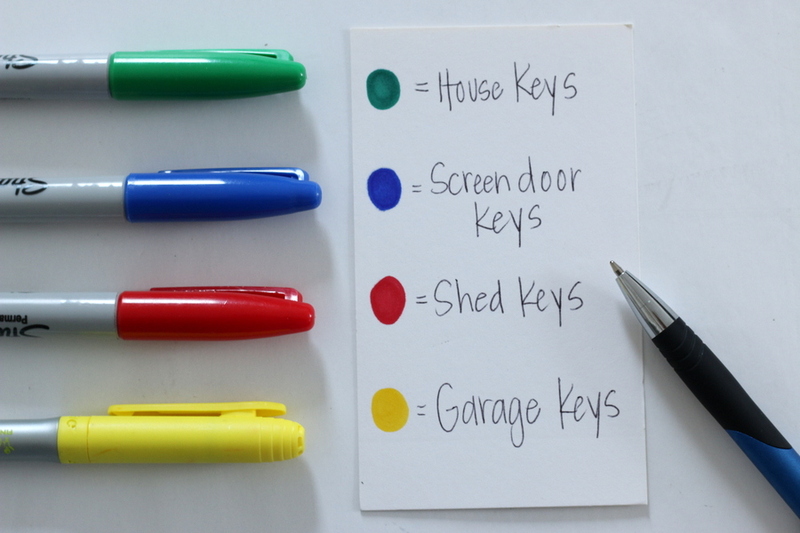 Now that the keys are clearly identified/color coded, you can pile them back up knowing that you won’t mix them up again. For the first few weeks at your new place, we recommend keeping the color-coded key somewhere accessible for you to refer to. 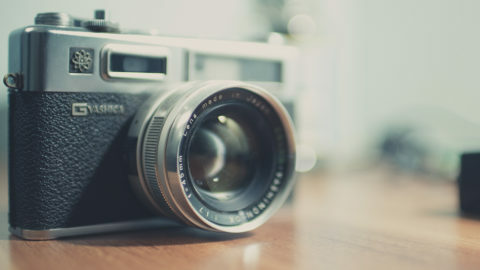 Maybe tape that list inside the cabinet, hang it on the refrigerator or even pin it to a bulletin board in the office… whatever location that is easily accessible for you to reference in a pinch! Once that’s done, you can check the first item off your growing to-do list plus, you will have a clear handle (and inventory) of your new collection of keys! Easy enough, right? Tip: This organizing project isn’t just for the new homeowners! 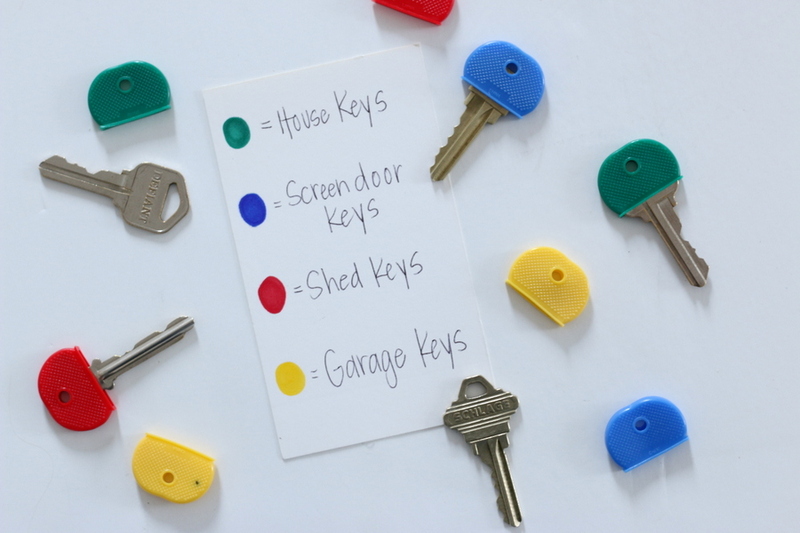 Keys seem to multiply on a lot of our key rings over the years, and this simple project is a great way to get organized before your key ring starts weighing you down!